We’re delighted to be the fifth sponsor to appear on the new home and away shirts for next season’s Kingstone Press Championship. You’ll be able to see the Maxilead Metals logo on the upper reverse of the shirts during each match, so keep your eyes peeled! We’re looking forward to the new season, especially since Rob Parker has been appointed as the general manager of the club. Why have we chosen to sponsor Swinton Lions? We recently backed Lions TV in 2016, so we felt the time was right to increase our backing for the 2017 season. We can’t wait to see how well the club fares this year. Peter Clay, our director, commented: “We are a keen promotor of all kinds of sports and when the opportunity to work with Swinton Lions came up again, we took it with both hands. We have seen first-hand the direction John Duffy is taking the team, which made us want to contribute again for the 2017 season”. 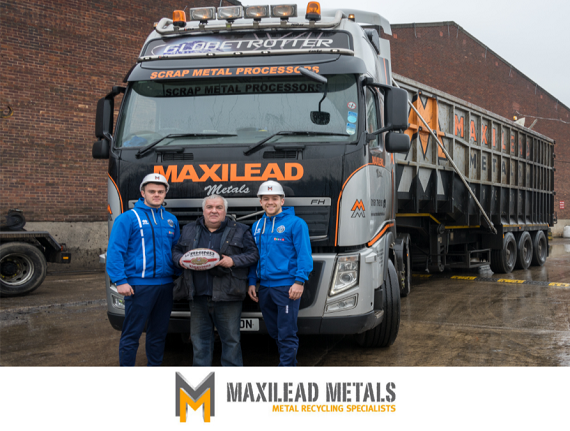 Here at Maxilead, we love to get involved in sports, and have sponsored a range of different teams and sportsmen over the years, including Warrington Wolves, Leigh Centurions and Martin Murray. If you have a sponsorship opportunity you’d like to talk with us about, visit our sponsorship page for more information. The new shirts are available now from the official Swinton Lions store, as well as other club merchandise.